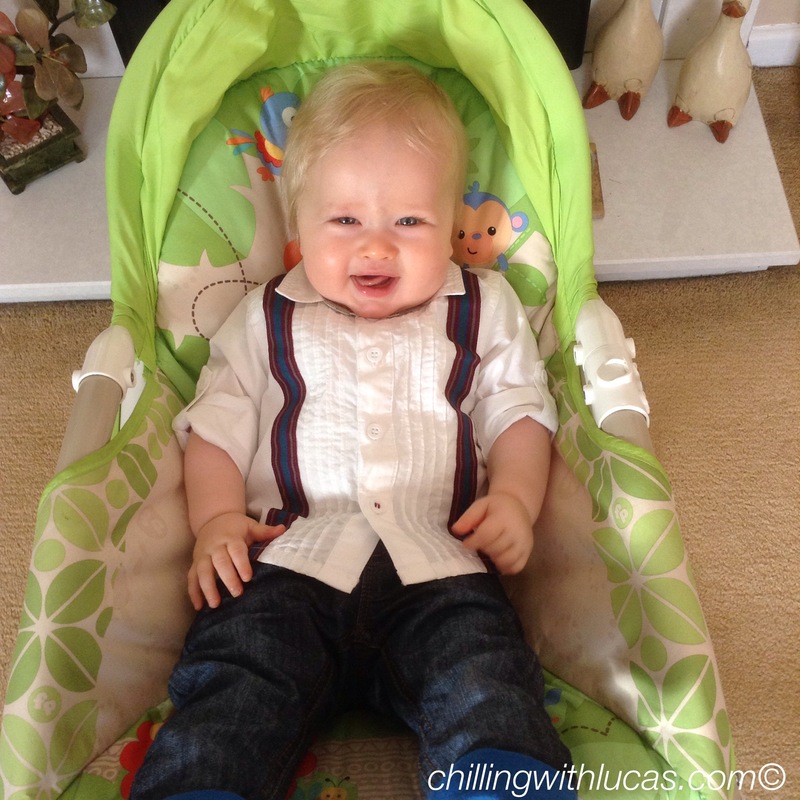 So I know I am biased but how adorable does the little fella look in this shirt?! Awww how cute and yet so comfy looking! Aww he looks so cute! Love the ruffles. 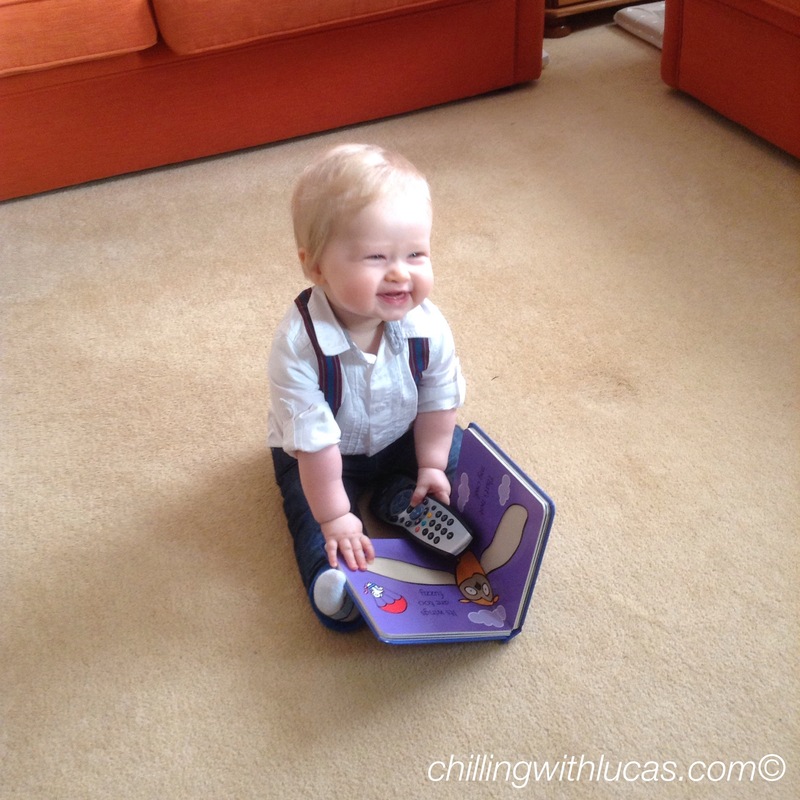 I spy Lucas is a fan of the tv remote as well, I’ve had to give Clem an old one as she keeps stealing ours. Oh that is so cute!! I think the fake braces are the sort of thing that always look better on – and he just looks so smart! Such a cute little shirt, I love shirts on little boys! He is one cutie too! Awww what a cutie, love the shirt. 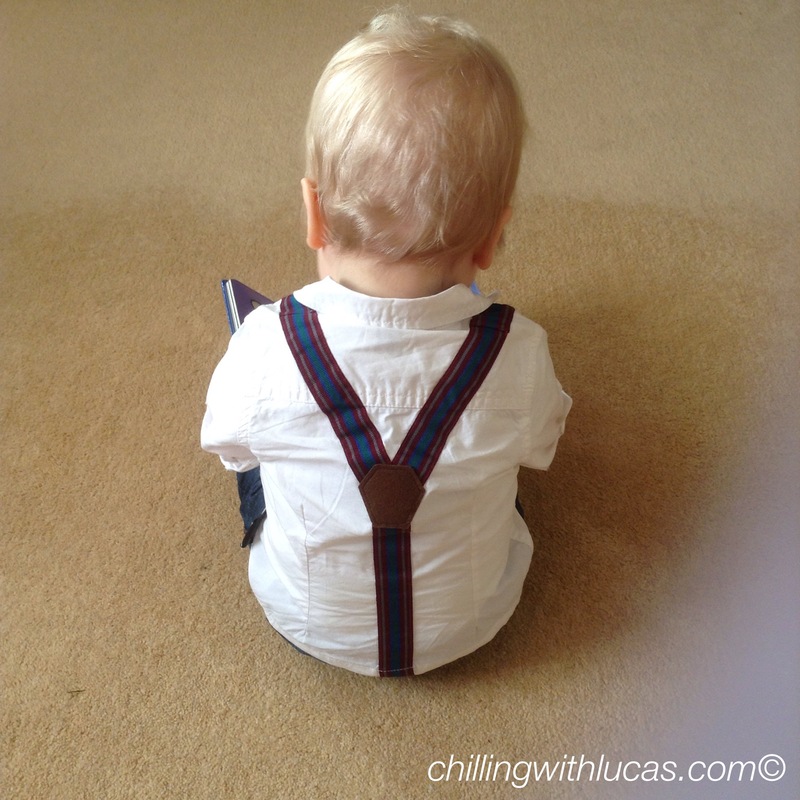 Seriously everyone tells me how lovely it must be to dress a baby girl but baby boys in braces and shirts is the cutest thing EVER!